1st pic: The reason why Shade looks different from a normal batpony, is because he isnt 100% batpony, his mother is a batpony and his father was a unicorn (thats the reason he gets a horn in his dark form, but he cant use magic, so he uses it to stab). 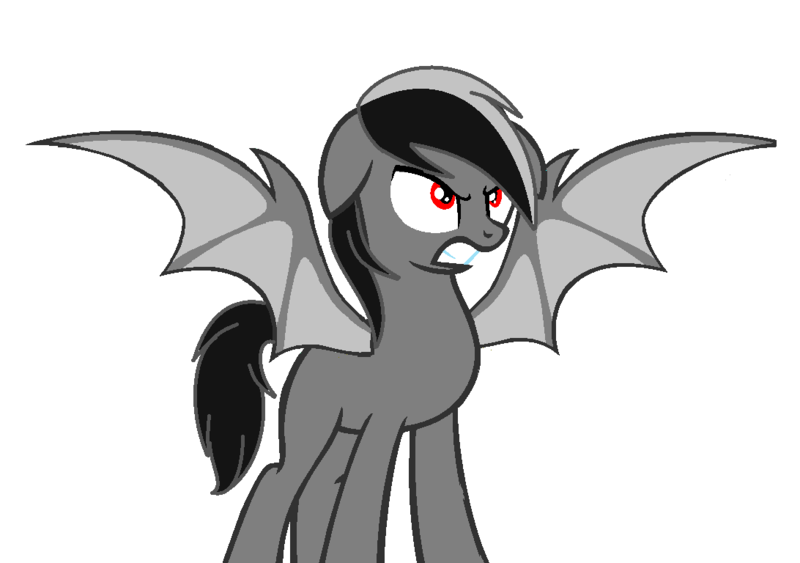 He has fangs and wings of a batpony, and eyes and ears of a normal stallion. 2nd pic: This is what Shade would look like if he was 100% batpony, because both his parents would be batponies. 3rd pic: This is a vampire pony, Vamponies have bigger ears, different wings, normal eyes, longer fangs and feast on blood. etc.